PackageKorea is a travel agency specialized in Sports tour and doing overall business related to travel. We’ve arranged transportation every year for athletes from Japan, Russia, America etc. participating in Far East Cup hosted by FIS (International Ski Federation). We also coordinated the training of Canada, England participating in 2018 Pyeongchang Winter Olympic Test Event. Take a look, and have our services as much as you can. Then you’ll have wonderful time in Korea for sure~! Click the [Book Now] Button at the Tours page, then fill the blanks and click [Submit] button. Email to us with the reservation Information written below. After we get your reservation information, we’ll reserve the room and email you the invoice with reservation number. Once you get the reservation number, please remit the payment to our account. Then We’ll send you the voucher which you need when you check in. After we confirm the payment, we’ll email you the voucher. You can pay the charge via paypal(Credit cards are acceptable). 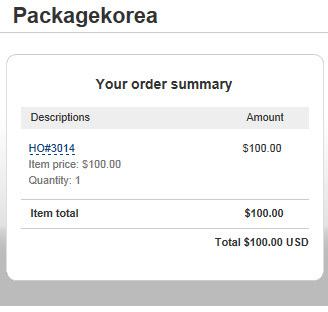 Once you send us your reservation information, we’ll send you the invoice with PAYPAL link for payment. Then, after we confirm your payment at PAYPAL, we’ll send you the voucher as soon as it’s ready. How do I check in hotel? After confirmation of your payment, we’ll email you the voucher with reservation number. You can check in with this voucher. Is the room rate per room? or per person? Our room rate on the web-site is per room, not per person. Under our reservation policy, your part payment will be refunded into your bank or PAYPAL account. There would be some profit or loss of your refund by the exchange rate fluctuations. For group bookings and long stay, we can offer special discount. Please let us know. How can I get the hotel from airport? Most of the hotels in Seoul, you can go there by subways or buses. Please refer to resort information in our webpage. For the other hotels and resorts in provinces, we can offer you a rental car from airport to hotels and resorts.